Rowland Heights is a small community within Los Angeles County. This region has about 49,000 residents that span over 13 square miles. Garage Door Repair Rowland Heights helps the citizens of Rowland Heights with all of their garage door needs. We offer our solutions to the 14,500 houses and condos in the area. You can find us off of Colima and Fullerton Road next to Lee’s Sandwiches. 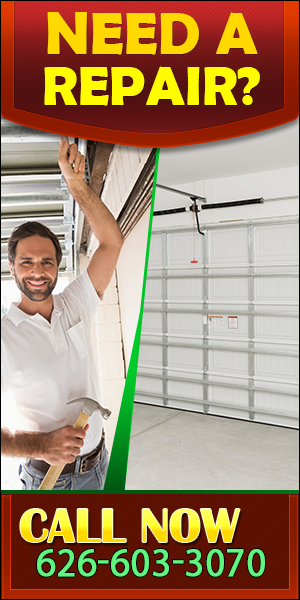 Let our licensed and certified technicians help you with all of your garage door needs. Don’t wait until your garage door breaks down completely to call us. According to statistics, most people wait until their garage door stops working properly. Luckily, we can help you fix smaller problems that will keep your door from shutting down completely. We are constantly optimizing our techniques; therefore, we can keep up with your doors maintenance. Thus, your doors will run smoothly along their tracks. By simply cleaning and lubricating your garage door mechanisms we can assure that there will not be any dirt or rust. Dirt and rust build up will cause wear on your system. By cleaning and maintaining your garage door system, you may circumvent future problems. Garage Door Repair Rowland Heights is able to identify any problem that may befall your door. We perform a wide variety of services including door repair, adjustment, replacement, and installation. Our licensed and highly-trained technicians have the experience to be able fully manage any type of garage door problems. Our company is licensed to install, repair, maintain, and service all popular garage door brands. 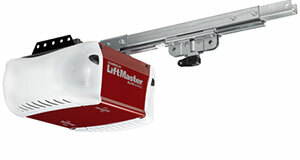 Our company is proud to serve LiftMaster, Craftsman, Sears, Chamberlain, and Genie devices. Our clients speak for us! We are able to provide all types of services such as garage door cable repair, track repair, and routine maintenance checks. We can offer you full door service. Our team is able to assist you with all of your garage door needs. It is no news that the garage sensor is a sensible feature. It is a safety device. A sensor keeps your garage door from closing if anything happens to be underneath. Homeowners who have children and/or pets really appreciate this feature. Good news is, our technicians can install or repair all types of sensors. Moreover, we can add infrared sensors, photo eye sensors, and safety sensors to your garage door system. We can help you add any safety features that you desire to your door. Remote access devices are another smart feature that homeowners elect to install with you doors. 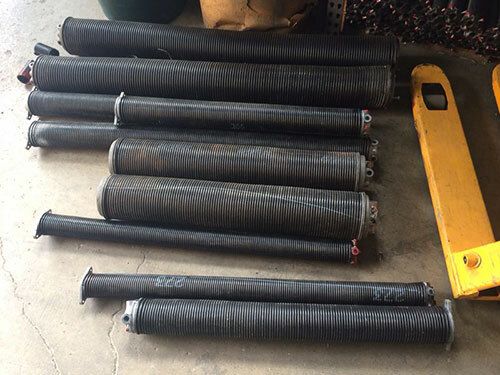 Our company can assist you when these break. We can help you program all your remotes and clickers. We can fix devices such as Sears, LiftMaster Security, Genie Intellicode. Our company can also service mulitcode, linear, wireless keypads, and intellicode devices. Remote access devices let you to open and close your door while inside of your car. This makes your commute safer and more convenient. These devices are helpful for all garage owners. We offer diagnosis, repair, replacement, adjustment, and installation. Our technicians are certified to manage all of your garage needs. We provide door cable repair, door track repair, and consistent maintenance checks. Garage Door Service Rowland Heights provides full door service. Our company can aid you with all your door needs. Call our office today to set up a personal consultation with our highly qualified technicians. Do not hesitate to contact us! If you have a door, you need a reliable garage door company to depend on.